Consulting jobs: why do women leave consultancy careers ? Home » Insights and News » Why do women leave consulting careers? Everyone knows the answer to that don’t they? It’s actually rather more complicated, not least because desire for work/life balance and lack of enthusiasm for Monday to Friday away from home is increasingly becoming gender neutral. The recruitment, retention and promotion of women remains one of the biggest issues for management consulting firms. Although an increasing number of women are joining the consulting industry, in many cases they are not staying for long enough to ensure significant representation at senior levels. In an effort to identify why this may be the case, five consulting firms joined forces to launch an initiative to promote gender diversity in the management consulting profession. Accenture, IBM, KPMG, PA Consulting and PwC are currently working in collaboration with the Management Consultancies Association (MCA) and She’s Back. A report, “The road less travelled; why women’s path to partnership in consulting firms is still not straight” by NBI Consulting and Source, was based on interviews with women at partner/board level from the world’s largest consulting firms. The report concluded that despite the many wide-ranging initiatives designed to resolve the problem of women leaving consulting jobs, the results continue to be disappointing. 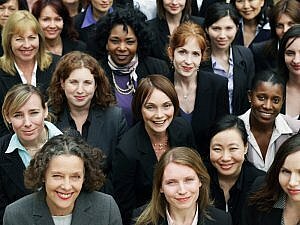 Apart from the fact that organisations face losing a talented and highly skilled portion of their workforce if women cannot be retained in management consultancy careers, there is a strong business case for offering a diverse consulting team. Teams which have a greater proportion of women deliver better quality solutions, to both the client and the organisations’ end customers. Women help consulting teams to think more laterally and to consider the longer term. Female project managers were felt to be better at stakeholder management than their male counterparts. Women are also seen to excel in terms of communication. 75% of clients said that they tend to be more upfront with what needs to be done and why; 58% said they’re more straightforward than men and are more prepared to spend ‘quality’ time with their clients and teams. How can management consultancy firms encourage women to stay in consulting jobs? In preparing their report, nbi Consulting interviewed 35 senior women and men in consulting firms in the US, UK, Europe and Australia, most of whom were equity partners. The purpose of the report was to look at the factors which helped women in consulting careers progress through the ranks to become partners and senior partners. Invest in identifying women candidates and understanding their individual career ambitions so that a position may be “customised” to suit that individual’s needs. Develop an understanding of the factors which prevent key female talent from feeling they can pursue a career within the firm. Know the concerns and issues they may have before they resign. Consider a sponsorship programme for women consultants. Evidence suggests that being heard by a senior person can make the difference for women consultants between staying and leaving. Identify individuals in a firm who would make good sponsors and actively manage and support a mentoring programme within the firm. Empower the project managers who are reporting to partners to pay more attention to accommodating flexibility of working within their team. Support them in this juggling act. Actively promote flexible work practices and encourage the return of female consultants. Project based work can lend itself to working from different locations at non-standard times aided by technology. This survey sought to identify the factors which helped women to progress, but in doing so it also highlights some of the reasons why women leave. One obvious conclusion might be that family commitments mean women are less willing to commit to the 24/7 work pattern that is often required in consulting jobs. It would be easy to label this is a gender issue, but that may be simplistic. The Millennial generation has a very different view of what is an acceptable work life balance. A PwC report concluded that Millennials are unconvinced that the excessive work demands, which older workers have hitherto taken for granted, are worth the sacrifices to their personal life. These men and women now want more flexibility in working hours and there is evidence to suggest that this attitude has increasing support from all generations who want a flexible work schedule and are willing to give up pay and delay promotions in order to get it. Indeed it is increasingly the case that men too are unwilling to sacrifice family life at the altar of career progression and client demands. There is of course the potential problem that if some sections of the consulting workforce are not willing to be mobile and work long hours, often at short notice, then others have to take on more than their share of the burden. However in practice, sometimes informally, accommodation and compromises can be made on all sides such that it’s no longer as much of a problem. A less macho style of culture and leadership and greater flexibility from clients has also contributed. The results of the She’s Back online survey is of relevance to all consulting firms. Management consultancies have a “huge opportunity” to attract back women who have left the industry, but must fully embrace more innovative and flexible ways of working. In an effort to meet the challenge of ensuring as much as possible is done to support and encourage women to remain in or return to consulting jobs, an additional benefit may be that the workplace could be a better environment for all.